Convert any videos to AVI, MP4, MPG, WMV, MKV, VOB, M4V, 3GP, WebM, MP3, etc. for iPhone, iPad, iPod, PSP, cell phones, Android, Nokia, Samsung Galaxy, etc. Extract audio from video files. Download YouTube videos. With nice user interface and outstanding converting capacity, Aura Video Converter is among the most wanted video conversion software. Whether you need to convert a video clip in MPEG or AVI format to MP4 for your iPhone and iPad, or convert a VOB movie to FLV format so that you can upload it to YouTube, Aura Video Converter can help. Aura Video Converter supports more than 30 types of input video formats including AVI, MP4, MPG, WMV, MKV, VOB, M4V, 3GP, WebM, MP3, etc. 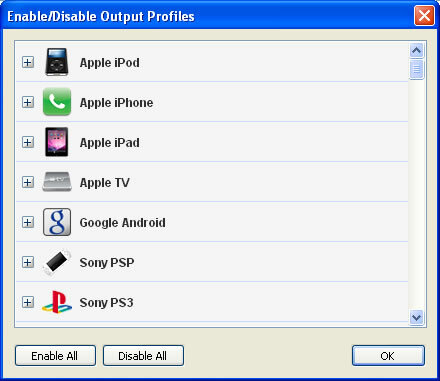 All popular video formats are added to the output profiles for your selection. And you can custom lots of parameters, too. With Aura Video Converter, converting videos to media player devices will be easy and efficient. You can convert videos to iPhone, iPad, iPod, PSP, Google Android, Nokia, Samsung Galaxy S4, Samsung Galaxy Note II, Nexus 7, Kindle Fire HD, etc. and all kinds of mobile phone to watch them on the go. 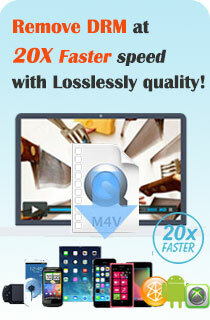 Besides, Aura Video Converter allows you to burn all popular video files to standard DVD, AVCHD disc and Blu-ray disc. Another brilliant feature of Aura Video Converter is downloading YouTube videos. Besides downloading video from YouTube, It also support downloading videos from Nico, Veoh, Facebook, MetaCafe, Vimeo, Howcast, Liveleak, Vevo, Myvideo.de, MTV, etc. The program will convert the downloaded online video to specified format and save it on your computer ready for watching. Adjust brightness, contrast and saturation of the video; flip the video, rotate the video, etc. Aura Video Converter supports all kinds and brands of media players, mobile phones, game consoles and webware. With the video converter, you can convert videos for iPod, iPad, iPhone, Apple TV, Zune, PSP, Nintendo Wii, Xbox 360 , PS3, Sony Walkman, Archos, Sandisk Sansa, iRiver, Creative Zen, Nokia, BlackBerry, Gphone, and other mobile phones. The latest version of Aura Video Converter also supports Pocket PC like HP iPAQ and Dell Axim. Dump the crappy iPod video converter, get the awesome one. Aura Video Converter couldn't be much easier to use, and it supports batch conversions—always a nice perk. You'll definitely want to add this utility to your video arsenal. Any Video Converter is now available for Windows XP and Vista. No matter whether you are converting between multifarious video formats, convert AVI, MPEG, WMV, MP4, MOV, XviD, 3GP, FLV, or mutually transforming among MP3, WMA, WAV, AAC, OGG and so on, or extracting any audio format from your video, it can all be done with just a few clicks. This amazing video converter will assist you to clip any favored segments whether they are intersected or not, then optionally merge and sort them to make a creative movie. MPEG-1: MPEG-1 is the first compression standard for audio and video. It was basically designed to allow moving pictures and sound to be encoded into the bitrate of a Compact Disc. MPEG-2: Transport, video and audio standards for broadcast-quality television. MPEG-2 standard was considerably broader in scope and of wider appeal – supporting interlacing and high definition. MPEG-4: MPEG-4 uses further coding tools with additional complexity to achieve higher compression factors than MPEG-2. In addition to more efficient coding of video, MPEG-4 moves closer to computer graphics applications. AVI: Audio Video Interleave files can contain both audio and video data in a file container that allows synchronous audio-with-video playback. FLV: Flash Video is a file format used to deliver video over the Internet using Adobe Flash Player (initially produced by Macromedia) versions 6–10. WMV: Windows Media Video (WMV) is a compressed video file format for several proprietary codecs developed by Microsoft. 3GP: 3GP is a simplified version of the MPEG-4 Part 14 (MP4) container format, designed to decrease storage and bandwidth requirements in order to accommodate mobile phones. HTML5 is the fastest growing web development trend and HTML5 video as a part of HTML5 becomes the new natural way to show video online. Aura Video Converter can easily encode and create the HTML5 video online. With this HTML5 Video Converter, you can perfectly convert videos to HTML5 videos with embedding code and HTML page for modern browsers like IE9, Firefox, Chrome, Safari, Opera and more. Aura Video Converter is also an excellent online video converter program. Just paste URL links of your favorite online videos to the program, download to your hard drive and convert to video formats you need. Besides it also supports downloading videos from Nico, Veoh, Facebook, MetaCafe, Vimeo, Howcast, Liveleak, Vevo, Myvideo.de, MTV, etc.